T.I. is back with a new music video for the “The Way We Ride” which is featured on the down South rapper’s Trouble Man: Heavy Is The Head LP. The visuals for the infectious and smooth jam find the Hip Hop veteran taking a late night ride through his city and living the lavish life as he performs to the camera aboard a private plane. There’s also some performance and miscellaneous footage meshed in between to keep your attention. 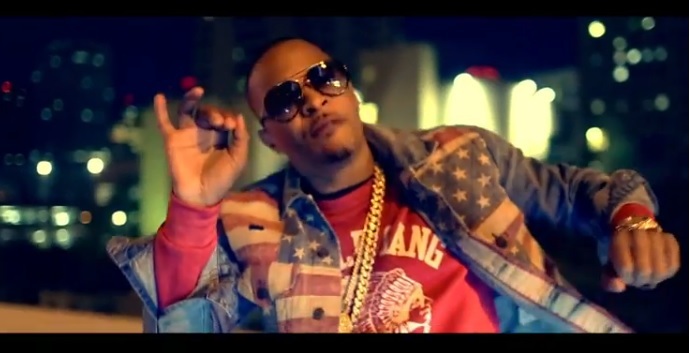 This entry was posted in Music, Video and tagged heavy is the crown, hip hop, Music Video, rap, T.I., the way we ride, TIP, trouble mean. Bookmark the permalink.